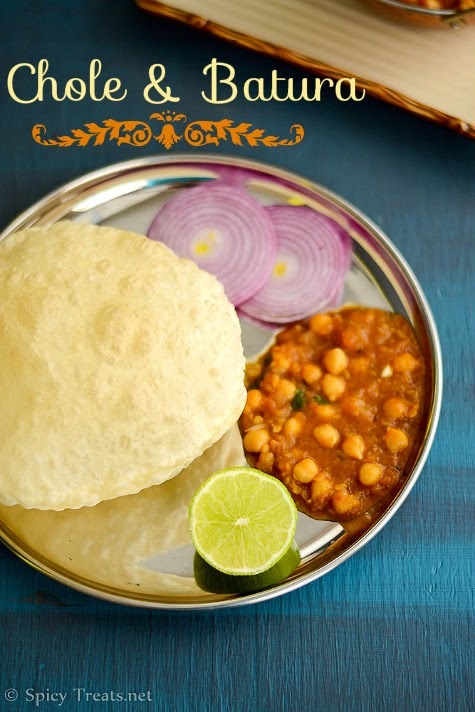 Easy Chole Masala Recipe/Chole Recipe for Batura with Step by Step photos. 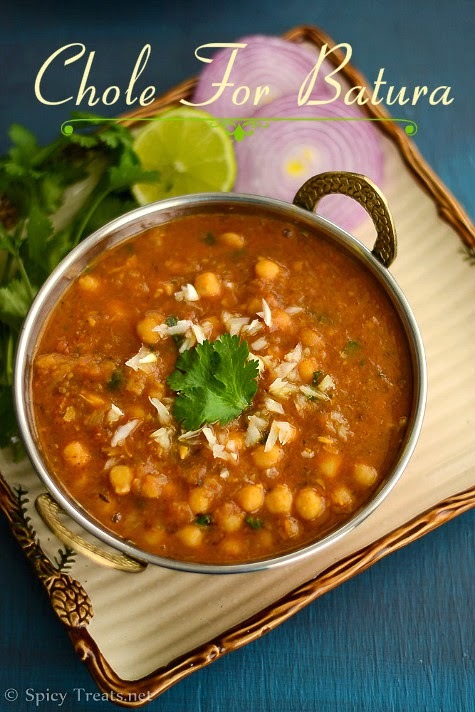 I have already shared Chole Batura and Restaurant style Channa Masala recipes, this chole version is a quick and easy pressure cooker method. I always prefer one pot meal or one pot cooking method and this is one such recipe using store bought chole masala powder. Actually, I wanted to share the authentic Punjabi Chole recipe. Being a friend and neighbor to Punjabi family, I wanted to learn authentic Punjabi recipes. I have tasted Punjbai Samosa, Aloo Parantha, chaats, Kadhi Pakora, Punjabi Chole, Batura & few more recipes prepared by Auntie. She makes the best samosa, kadhi and all her dishes are yummy. When I asked Auntie for the Chole recipe, She said that they use an unique Chole Masala Powder for Chole. And she added that the Chole Masala Powder is from Delhi, India from their well know spice store. Auntie & myself tried to identify the ingredients from that powder but in vain. We able to judge 1 or 2 ingredients but not the whole and the proportions. She said that she have tried couple of time to make homemade channa masala powder but wasn't successful. But she suggested to try the it the same way with any store bought Chole Masala Powder. Then one fine day as per her suggestion I tried this recipe and it turned out good. Wash and soak kabuli channa/Chickpeas for 6-7 hours or overnight. Heat oil in a pressure pan or cooker, add hing and cumin seeds and allow to splutter. Then add crused ginger and garlic and fry well. And then add finely chopped onion and saute in medium heat until it turns golden brown and translucent. After that add chole masala powder, chilli powder and stir fry for a minute, then add finely chopped tomato and saute until mushy. Now add soaked and drained chickpeas, turmeric powder and saute for 2-3 minutes. Then add garam masala powder, enough salt and stir well. And now add enough water(2.5 or 2 cups of water)mix everything well and check for salt and spice. If needed add accordingly. Then close the pan with lid and pressure cook for 3-4 whistles. Once done allow the pressure to cool down, and open the lid. If desired, slight mash a portion of chickpeas using vegetable masher. And lastly add some finely chopped cilantro. That's it Easy Chole Masala ready. Serve with Hot Batura or Pooris Or Phulka. 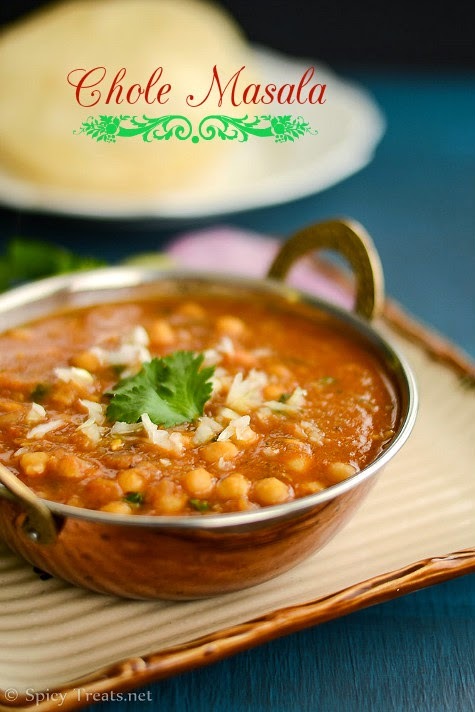 The consistency of the chole depends on individual taste, if you want it liquidy then add water and cook accordingly. 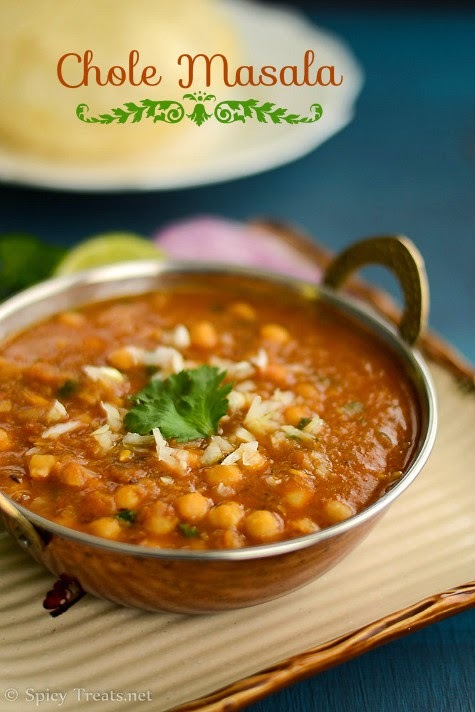 I don't want to make it liquidy because my kids will not eat channa and dip only the gravy. So i slightly mashed it. Add Less salt since some of the chole masala powder has salt in it. You can also use canned chickpeas, if so drain, rinse and then use it. I mostly prefer the dried chickpeas soaked overnight. I used Badshah Chole Masala & Nirav Garam Masala Powder. I'm going to steal that plate, batura with chole looks awesome! 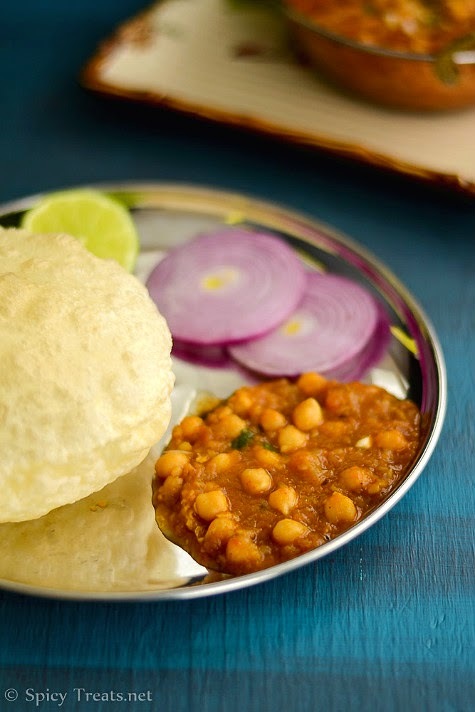 chole batura is ultimate combo.. looks super delicious..